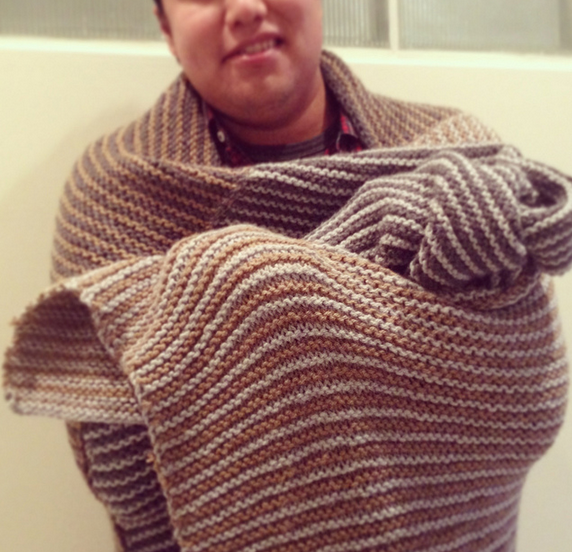 The blanket I knitted Sean for Christmas; it’s the three panel garter stripes afghan from Comfort Knitting and Crochet: Afghans done up in bulky yarn featuring combinations of three colorways: dark heathered gray, light heathered gray, and camel heather. I’m pretty pleased with how it came out, but hate hate hated seaming the panels. See more about the project here; and more snaps of the blanket here.